Because she feared starving so much, my mother shopped three days a week at Costco, which meant that we hoarded food, and that eating was almost as essential as money. In our family, a large gift of cash was better than love, but a platinum credit card showed genuine affection. Food, however, was real currency. It was a symbol of our family’s unusual makeup. In the Hong Kong slum of my mother’s childhood, you could sell a whole person for enough rice to last one or two months (depending on how much you liked your children). “No, seriously,” I said, eyeing my sister and wondering how many pounds of rice she was worth and whether trading her in would earn me more time with my mother, who was clearly overwhelmed by three kids. Why did my mother have to be so traditional and have my brother? Why couldn’t she just stop with me? Also, did the exchange go by the pound? And how did each party decide what was fair? Some children were bigger boned than others. This collective obsession with starving meant that our basement, known as the food room, was basically a makeshift earthquake shelter or a post-apocalyptic zombie survival room for all your end-of-the-world needs. Shelves stocked with every type of pasta. Wheat crackers in obnoxious cardboard towers. Plastic bins became vending machines, spewing out every species of granola bar and rice noodle—fresh and stale—manically stockpiled together. I am not kidding when I say that we might buy six family-sized tubs of salsa, and then in the following weeks, my mother would desperately buy another three or four more. If western North America did not plummet into the murky Pacific and we did not drown first, if the Belcarra did not topple backwards down the mountain in a mudslide, and if we survived all the terrible afterquakes, the autopsy reports would show that a family of five found shelter but were poisoned by trying to survive on spoiled goods. A nationwide warning would be issued: Update your emergency rations. Look at what happened to those Wongs—they never checked the expiry date. Hadn’t the idiots heard of botulism? But every August was Chinese Hell Month, also known by Buddhist monks as the Hungry Ghost Festival, which only fuelled my mother’s neurotic worry about ghosts and starvation. Chinese Hell Month proved that my family couldn’t escape the judgment of our ancestors, who came rushing to our house for an overextended visit, so we were supposed to leave out packaged food for our hungry ghosts. Fortunately, we had a year-round food room with countless varieties, which meant we could supposedly please all our dead visitors from last year to the Tang dynasty. In our family, it was believed that those who had abundant food had tremendous wealth and power. Food could make anyone, including monsters, grateful and happy, so if we fed the ghosts, we could prevent possessions and unnatural deaths. 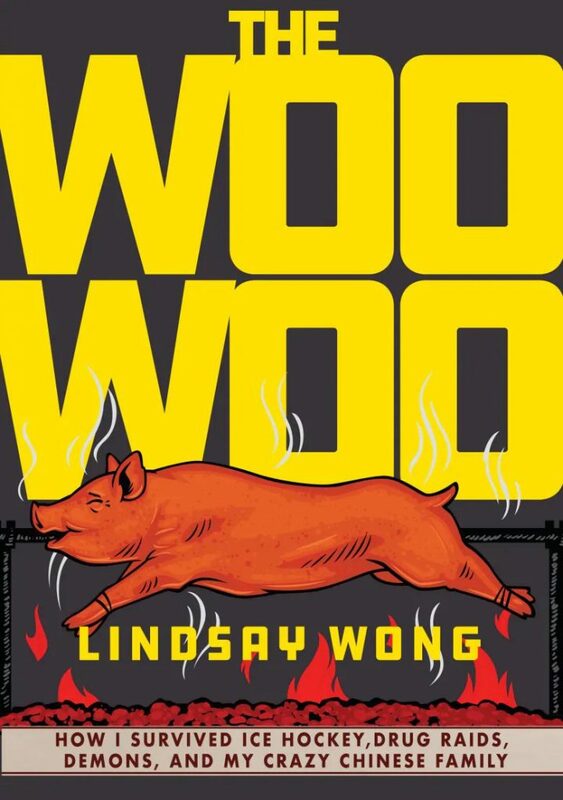 Excerpted with permission from The Woo-Woo: How I Survived Ice Hockey, Drug Raids, Demons, and My Crazy Chinese Family by Lindsay Wong, published by Arsenal Pulp Press, © 2018. Available online and at your local bookstore.